This article from ABC News is based in part on an interview with me. Notwithstanding the information in the article, there are some things that can be done in case of child abduction to Japan, though rarely using the Japanese "system." Kaya Wong's parents never imagined they would be able to have a baby. Born three years after her mother was diagnosed with cancer, Kaya, now 4 years old, was a miracle. But for Paul Wong, Kaya's father, the unimaginable soon became the unthinkable. Months after the cancer fatally spread to his wife's brain in 2005, Kaya, he says, was kidnapped by her maternal Japanese grandparents. Despite being his daughter's sole surviving parent, he has few options available to him as an American in Japan  a historically xenophobic country that does not honor international child custody and kidnapping treaties. It's also a nation that has virtually no established family law and no tradition of dual custody. Wong is one of hundreds of so-called "left-behind" parents from around the world whose children have been abducted in Japan, the world's only developed nation that has not signed the Hague Convention on the Civil Aspects of International Child Abduction. "This entire experience has left me heartbroken," Wong told ABCNEWS.com. "We always wanted children. My wife and I talked about starting a family for a long time, but because Akemi was sick we kept having to wait. When Kaya was born, I promised my wife that we would move to Japan so that our daughter would know about her Japanese heritage and Akemi, despite her own illness, could care for her elderly parents." "She's very energetic, outgoing, active, inquisitive innocent little girl. She is simply perfect, and sweet as can be. She is not afraid of anything," he said of his daughter during a phone interview from Japan. "I'm breaking up just thinking about her and talking about her. She loves to laugh and has a smile just like her mother's." Kaya was born in San Francisco in 2003 and is a dual citizen of the United States and Japan. The young family lived in Hong Kong, with Akemi making occasional trips to California for treatment until she and Kaya moved in with her parents in Kyoto, Japan to rest after a treatment. Shortly thereafter, she passed away. For more than a year after her mother's death in December 2005, Kaya continued to live with her grandparents, with Wong visiting monthly from Hong Kong as he worked to find a job that would allow him to move to Japan. "Once I moved to Tokyo last year, the grandparents did everything possible to keep Kaya away from me. When I said I'm taking her back, they filed a lawsuit against me filled with lies and claimed I had sexually assaulted my daughter. There are no facts and the evidence is completely flimsy." Kaya's grandparents are elderly pensioners. Under a Japanese program to stimulate the birth rate, families with young children receive a monthly stipend from the government, one reason Wong believes the grandparents have chosen to keep Kaya. Though Wong's case is unique in that most child custody disputes result from divorce not death, his is typical of the legal morass in which many left-behind parents find themselves. He has spent thousands of dollars on legal fees and makes regular appearances for court hearings, but his case, like many others, remains stalled. There is no discovery phase  pretrial disclosure of evidence  or cross-examination. Lawyers for each side simply present their cases before a judge. Furthermore, there is no concept of parental abduction or joint custody. The parent or family member who has physical custody of the children  generally the Japanese mother or her family  is granted legal custody. "Fundamentally, people believe that Japan must have a legal system available to deal with child custody and similar problems," said Jeremy Morley, an international family lawyer. "In reality, however, there is no such system." "Family law is very weak in Japan. There is also a cultural perception that a Japanese child is best off in Japan with a Japanese parent. Boiled down, the law is: Whoever has possession has possession and the other parent should mind his own business," Morley said. Paul Toland, a commander in the U.S. Navy, estimates he has spent "well over $100,000 in attorney's fees" for the last five years in an effort to get back his daughter. Toland's daughter was taken by his ex-wife to live with her parents in Tokyo while he was stationed in the country in 2003 and he has not seen the girl since. He began fighting for custody of his daughter Erika, 5, when she was just 9 months old. When his wife, Etsuko Futagi, committed suicide in September 2007, Erika's maternal grandmother took posession. "I feel real frustrated because I'm in a holding pattern," said Toland, 40, who lives in Virginia. "It has been a nightmare trying to get through this." Though Toland is his daughter's sole surviving parent, judges in countless hearings have upheld the cultural imperative that it is in the child's best interest to stay with whomever she is with at that moment. "Whoever has custody when they walk into court has custody," Toland said. "Judges never want to disrupt the status quo. There is no enforcement of the law because there is no teeth in the system. Police won't intervene because they say it is a family matter. Every judge knows that and rules in favor of the status quo because he would lose face if he ordered something that would never be followed through on." He said he regularly sends "care packages  big boxes full of presents and videotapes of me reading her children's books." Since he does not know whether those videos ever make it to his daughter, he keeps copies locked in a strong box to give her if and when he finally gets custody. "Parental abduction is not a crime in Japan, but taking a child out of Japan is a crime. 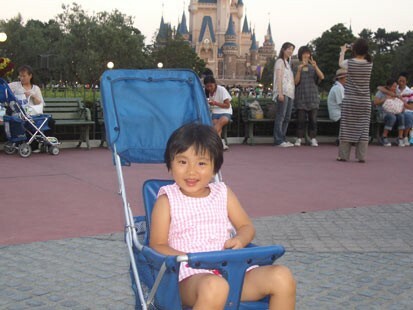 It is legal to abduct my own kid in Japan, but it's a crime to take her back home with me." "It is a crime to keep my parents from knowing and loving Erika," he said. "On most things Japan is an important partner," said Michele Bond, the State Department's deputy assistant secretary for Overseas Citizens Services. "This, however, is one issue where we greatly differ. Left-behind parents often engage in a fruitless campaign to get back their children." The State Department, she said, regularly raises the issue of international abduction and Japan's refusal to join the Hague Convention, a 1980 international treaty on cross-border abductions. "We engage with the government of Japan at every opportunity and bring it up all the time. We try to raise the visibility of the issue and make them aware that this is not the tradition in other countries. Progress has been slow but we are hopeful to find a solution that respects both cultures and everyone's rights, especially the children," Bond said. "Culturally, the Japanese are not disposed to deal with foreign fathers. The law does not recognize parental child abduction. Criminal extradition is limited because they don't recognize that a crime has taken place," she said. In April 2007, Sen. Barbara Boxer, D-Calif., sent a letter to President Bush about child abduction on the occasion of the Prime Minister Shinzo Abe's visit to the United States. "I am very concerned over Japan's lack of assistance in these cases and urge you to insist that Japan cooperate fully with the United States and other countries on international parental child abductions. Furthermore, I hope you will press Prime Minister Abe to support the Hague Convention on the Civil Aspects of International Child Abduction and to implement a formal two-parent signature requirement for obtaining passports for minors," the letter stated. The Japanese government would not comment on specific cases of child abduction and in an exclusive statement to ABCNEWS.com never used the word "abduction." "We sympathize with the plight of parents and children who are faced with issues of this kind, which are increasing in number as international exchange between people expands," reads a statement from the Japanese Embassy in Washington, D.C.
"Regarding the possibility of Japan's joining the Hague Convention, we must point out that [the] Japanese legal system related to child custody is quite different from the underlying concept of the Hague Convention. Japanese courts always take into consideration what the best interest of a child is with respect to each individual case, while the Convention provides the relevant judicial or administration authorities in principle [to] order the return of the child, unless the limited exceptions apply." "We strongly believe that it is in the best interest of a child to have access to both parents," said the State Department's Bond. She said a child has never been returned to the United States as a result of diplomatic negotiation or legal wrangling, and knew of only three cases where children were reunited with their American parents  "two in which the parents reconciled and one in which a 15-year-old ran away." In 1999, when the boys were 8 and 9 years old, Gulbraa learned that his wife's second husband was under investigation for abusing his biological son. "That's how things remained until July 2006. I did everything I could think of. I even petitioned the Vatican to intervene," he said. When the boy's mother learned of the plan, she took his cash and identification, making the train trip to the consulate and obtaining a passport all the more difficult. "Chris said he was going for a bike ride and got on a train from Nagoya to Osaka. We had to work through his not having any money or picture I.D. In late August 2006, he got home with the help of every agency of the U.S. government involved. From the consulate in Osaka to the embassy in Tokyo, everyone did everything to get him home without breaking the law." "It is mind boggling that we kowtow to an ally because we are worried about trade and beef exports, when people's children are being torn from them. Abduction is abduction and it needs to stop."